The 1U CubeSat KNACKSAT (KMUTNB Academic Challenge of Knowledge SATellite) is the first entirely Thai-built satellite. 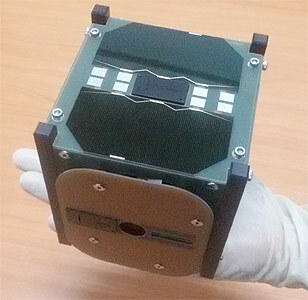 The 1.3 kg satellite is developed and entirely built by an university team of King Mongkut’s University of Technology North Bangkok (KMUTNB), Thailand. The satellite uses amateur radio frequencies for the communication between the satellite station and the ground station. confirming the uses of Commercial Off-The-Shelf (COTS) components in space. Also the educational objective is to enhance the knowledge and experience of the students in satellite design and construction.